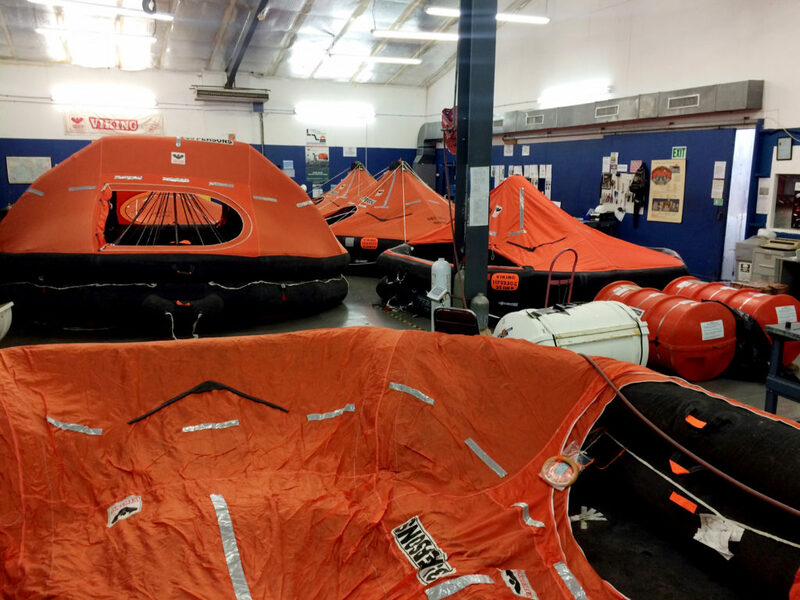 Our life raft team offers a turnkey service which includes the collection, inspection/repairs/re-certification and return of equipment to your vessel. Where necessary, we can provide rental units to accommodate your crew should your stay not be sufficient for service to be completed. All repairs are carried out in a controlled environment by certified, factory-trained technicians who undergo regular training and re-certification. Our Service Station undergoes annual inspection by Classification Societies such as Lloyds Register of Shipping. We are recognised and approved by our local maritime authority, Maritime Service Division. We are also the only Authorised Service Station for Viking in Trinidad and Tobago, and an authorised service station for brands under the Survitec Group, Switlik, Zodiac Milpro and Arimar.